Not a good couple of weeks to be a worker in Florida — six workplace fatalities. Cincinnati, Oh — A veteran sheriff’s detective was shot to death and his partner was injured in a gun battle with a 23-year-old suspect in an attempted burglary, who was allegedly suicidal and barricaded in an apartment building in a suburb of Cincinnati, Ohio, officials said. The alleged shooter — identified as Wade Edward Winn — kept police at bay for some 12 hours before he was taken into custody Sunday around 6:30 a.m. following another gunfight with a SWAT team, officials said. Killed in the confrontation was Detective Bill Brewer, the married father of a 5-year-old son and a 20-year veteran of the Clermont County Sheriff’s Office, officials said. Homer, AK — A crew member of the Coast Guard cutter Hickory died in an industrial accident in Homer on Thursday. The crew member died after being struck Thursday by a crane that rolled over. The Coast Guard identified the crew member as Chief Warrant Officer, Michael Kozloski, 35, from Mahopac, New York. Homer Volunteer Fire Department emergency medical technicians responded to the crane accident shortly before 2 p.m., the Homer News reported. The crane tipped over in a buoy yard for the Hickory. Kozloski was working the buoy yard, the Coast Guard said. ORLANDO, Fla. – A Transportation Security Administration agent is dead after he jumped from a balcony in the Hyatt Regency Hotel at the Orlando International Airport, according to officials from the Orlando Police Department. In a tweet, OPD officials said the man, who was in his 40s, jumped into the atrium area of the airport at 9:30 a.m. Saturday. He was found in critical condition and was taken to a local hospital, where he was pronounced dead. BATON ROUGE, LA. (AP) — Authorities say a Louisiana police officer was killed after being hit while riding a motorcycle as part of a funeral procession. In a news release, the Baton Rouge Police Department said 31-year-old Cpl. Shane Totty died from his injuries shortly after the Friday afternoon wreck. Police say a pickup truck crashed into Totty, who was escorting a funeral procession. The department says Totty was a four-year veteran of the force. Castaic, CA — A volunteer with the Ventura County Sheriff’s Search and Rescue team was killed in a crash on the northbound 5 Freeway in the Castaic area, and several other people were injured. According to the Sheriff’s Office, Fillmore Search and Rescue team member Jeff Dye was helping people who had been involved in a collision when another vehicle fatally struck him. The Search and Rescue team was on its way to a training exercise when they stopped to help out the driver. As L.A. County Fire Department personnel rendered aid to Ruiz, a Ford Expedition heading north hit the Fire Department truck and the Search and Rescue crew. EAST MOLINE, IL — A FedEx worker was found frozen to death outside a FedEx Freight location in East Moline Tuesday morning, authorities said, according to WQAD. The news report said the 69-year-old man’s body was found frozen between two semi tractors by another FedEx employee at around 9:30 a.m. While the bitterly cold temperatures played a part in the man’s death, WQAD said police aren’t sure how long he’d been there before he was found at the delivery hub, which is located off Morton Drive near the Quad City Downs. COLLIER COUNTY, Fla. – A man working at a farm at Oil Well Grade Road and Immokalee Road has died. The Collier County Sheriff’s Office said the man was run over by a truck in the field. Bernardino Cipirano, 68, was run over by a truck driven by the field supervisor, with two other passengers on board, the Collier County Sheriff’s Office reported. Workers were using a flatbed truck to dump tomato buckets into large bins on the back of the truck, the incident report states. The driver was backing up and did not see Cipirano, according to Juan Lopez-Perez, one of the passengers on the truck. ORANGEBURG, N.Y. (AP) — Police say a 41-year-old New Jersey man has died after a workplace accident with a mixing machine at an upstate New York cheese company. The Orangetown Police Department in Rockland County said officers were called to the Icco Cheese Co. in Orangeburg on Jan. 15 to investigate an accident. An employee, Edwin Nunez of Patterson, New Jersey, was found inside a mixing machine that was assigned as his work station.Paramedics pronounced Nunez dead at the scene. PORTLAND, OR – Kelso police say that the woman is 30-year-old Kayla Chapman. She was shot and killed while working at the Holt’s Quik Chek at 400 Cowlitz Way when someone came in, armed, and shot her. She was able to call 911 but by the time officers arrived she had died. Now Kelso Police are looking for help finding her killer. FORT WORTH, TX –The Occupational Safety and Health Administration is investigating after 31-year-old female employee was crushed to death by a 1-ton bale of recycled materials at a Fort Worth plant early Thursday morning. Police responded to the industrial accident just before 2:30 a.m. at Republic Services on Elliott Reeder Road near Carson Street, just south of Airport Freeway. According to police, a 1-ton bale of recycled material had fallen on the woman inside the warehouse of the location. She was pronounced dead at the scene. Police say round bales of material were stacked three high and became unstable, which caused two bales to fall and one of them crushed the woman. FORT WAYNE, IN — A northeastern Indiana man has died in an industrial accident at an avionics company near the Fort Wayne International Airport. The Allen County coroner’s office says 57-year-old Kenyon Disbrow of Ossian was pronounced dead at the scene Tuesday from blunt force injuries. The Allen County Sheriff’s Department says his death occurred at Premier Avionics at the Fort Wayne Aero Center. ARBOR VITAE, Wis. — Joshua Drinkman, 30, of Eagle River has been identified as the victim in a deadly incident at Pukall Lumber Company in Arbor Vitae. It happened just before 7:30 a.m. Tuesday. The Occupational Safety and Health Administration (OSHA) is investigating. Drinkman died after getting trapped in one of the belt conveyors at the lumber company, according to the Vilas Couny Sheriff’s Office. ROSE HILL, Kan. (AP) – Federal health inspectors are investigating after a 38-year-old Sedgwick County man died when a trailer backed over him. The Butler County Sheriff’s Office said 38-year-old Stephen Farmer, of Sedgwick County, died early Wednesday in Rose Hill. Emergency crews found Farmer on the ground behind a truck, which had a flatbed trailer carrying a piece of loading equipment. The sheriff’s office says a man driving the truck was turning around in a parking lot when the trailer hit Farmer. He fell and the right tires of the trailer ran over him. He died at the scene. Detectives determined the death was an accident and no charges are being pursued. The Occupational Safety and Health Administration sent investigators to the scene. PROVIDENCE, R.I. (WJAR) — Monday morning got off to a tragic start on a Providence job site when a man working on the roof of the Rhode Island Community Food Bank fell to his death. “One of their workers fell through a hole that they were cutting, and landed on the floor down below,” Providence Fire Department Battalion Chief Craig Grantham said. Firefighters worked quickly to get Scott Simons, 50, to Rhode Island Hospital after employees inside the Food Bank called 911 around 10:43 a.m., but it was too late. SHALIMAR, FL — A 37-year-old man was killed Tuesday after being hit in the head with a beam at Two Georges Marina, formerly the Shalimar Yacht Basin. Timothy Hassenplug was acting as a spotter for Palm Beach Lift Techs, which was installing a new marine travel lift outside the dry dock facility when the accident occurred. The forklift operator was moving a portion of the lift into place when his load shifted, trapping Hassenplug between a beam and a boat. Hassenplug pushed off the beam to create space and it swung back and hit him in the head, according to the marina owners. They said the forklift operator was not an employee of the marina, nor was Hassenplug. They worked for the lift company. BURKE COUNTY, Ga. — An employee at the Burke County Road & Bridges Department has died after a morning crash. Around 7:42 a.m. Wednesday, a Burke County Road & Bridges work truck was making a left turn onto Brown Mobley Road from Highway 24 South when it was hit by another vehicle. William Procter was driving the truck and was taken to Burke Medical Center for treatment where he later died. Another employee was in the truck with Proctor and they were treated for non-life threatening injuries. The driver and a child in the other car were not injured. Monroe Township, PA — A Sweet Valley man died in a Wilkes-Barre hospital last Wednesday following an industrial accident in Monroe Township, according to the Luzerne County Coroner’s Office. Justin Frederick, 18, was killed in an accident at C&K Sanitation at 5312 State Route 309 on Jan. 23, authorities said. According to the coroner’s office, Frederick was pinned by a movable garbage bin. His death was caused by multiple traumatic injuries due to head trauma, and the coroner’s office ruled it an accidental death. Columbus, Oh — A medical helicopter set to pick up a patient crashed 70 miles southeast of Columbus, Ohio, killing all three people on board Tuesday. Pilot Jennifer Topper, 34, nurse Bradley Haynes, 48, and nurse Rachel Cunningham, 33, died, according to a statement from the Ohio State Highway Patrol Tuesday. Nobody in the surrounding area was injured. The plane was going to pick up a patient in an Ohio hospital, but crashed at 6:50 a.m., ABC News reported. WOODLAND PARK, CO – Executive Custom Construction Inc. said that an employee died in an accident at Charis Bible College Monday morning. Executive Custom Construction Inc. President Gary Erickson wrote in a news release that Robert Ummel, 69, died in a forklift rollover accident at the campus Monday around 9:15 a.m. Erickson said emergency personnel responded to the scene, but they were not able to save him in time. The Teller County Coroner’s Office said it is awaiting autopsy results to determine his cause of death, but Coroner Kayla Daughtery said the death was accidental in nature. Washington, GA — A 19-year-old Glascock County deputy died in a car wreck Tuesday, authorities confirmed. Deputy Joshua Ryer Jr. of Gibson was on duty when he was killed in a two-car crash on Spring Street and Andrew Drive in Washington, the Georgia State Patrol said. He had only graduated from the police training program at Augusta Technical College about six months ago, according to Georgia Peace Officer Standards and Training Council records. Sebring, FL — The five women killed by a gunman at a Sebring bank last week in Florida’s latest mass shooting have been identified. The victims who were employees at the SunTrust Bank at 1901 U.S. Highway 27 include Marisol López, 55; Ana Piñon-Williams, 38; Jessica Montague, 31; and Debra Cook, 54. On Jan. 23 around 12:30 p.m., an armed man entered and overtook the bank by force. Authorities say Xaver executed the five women with shots to the back of the head and upper torso, according to an arrest affidavit. The victims were found lying face down in the bank’s main lobby and surrounded by shell casings. DARLINGTON, S.C. – A Domino’s Pizza employee was shot and killed late Saturday night while making a routine delivery in Darlington. According to Lt. Robert Kilgo, deputies responded to Rogers Road near Larrys Drive just before midnight Saturday and found someone unconscious in a car. Coroner Todd Hardee arrived and pronounced a Domino’s employee dead at the scene. Hardee identified the employee as 39-year-old Abdul McKenzie of Darlington. He was an employee of Domino’s Pizza in Darlington for 20 years. 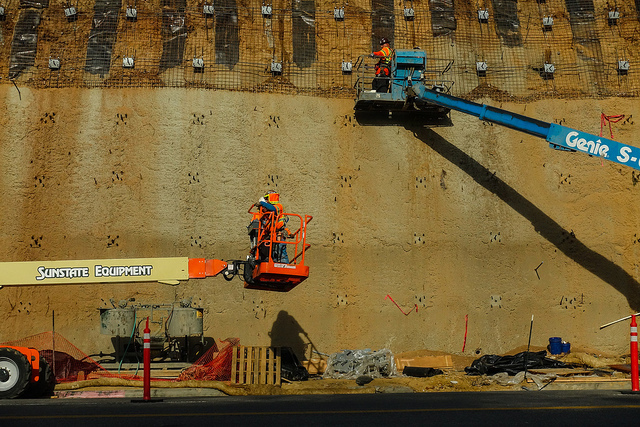 Raleigh, NC – 3 workers were buried when a portion of an excavated area collapsed, killing one worker and injuring the other two. The N Carolina DOL reports that work was being completed on an affordable housing project at Old Wake Forest Road and Triangle Town Boulevard when the incident occurred last Tuesday. Authorities said workers and others at the scene were able to pull two of the buried workers to safety but weren’t able to dig the third person out from under the dirt. Harold K. Jordan & Co., the Apex-based general contractor for the 382-unit apartment complex, said the man who died worked for Vertical Walls Inc., a subcontractor hired by Honeycutt Construction Services Inc., which is handling site preparation work before the apartments can be built. HKJ officials said Vertical Walls was excavating an area to build a retaining wall for a stormwater retention pond when the accident occurred. MIDDLEBOURNE, WV — Two Jay Bee Oil and Gas Inc. workers died Sunday when their work truck crashed over an embankment on the south side of Jug in Tyler Country. The Tyler County Sheriff’s officials said the accident occurred at about 9:01 p.m. Sunday. Tyler County E-911 Center received the call that a dump truck was over the embankment in the Jug turn on West Virginia 18, just south of Middlebourne. Those arriving on the scene of the accident discovered that a water bottle truck had traveled through the guard rail and over the embankment on W.Va. 18. The vehicle was said to be a water truck owned by Jay Bee Oil and Gas Inc. in Cairo, West Virginia. The driver was identified as Curtis E. Etheredge Jr. of Harrisville, and the passenger was Eric V. Hardman of Parkersburg. Fire crews had to extricate the victims from the vehicle. Etheredge was pronounced dead at the scene, and Hardman was rushed to Sistersville General Hospital by Middlebourne EMS. He was pronounced dead a short time later. MONTICELLO, Ky. (WKYT) – The Wayne County Coroner’s Office says a man is dead after being injured in a workplace accident. The coroner’s office says medical crews responded to Trifecta Houseboats off Ky. 90 and took a person to the hospital. John Kevin Tucker, 55, was pronounced dead at 9:45 a.m. An autopsy is being scheduled. Trifecta Houseboats is a consolidation of the Thoroughbred Houseboats, Sumerset Houseboats and Stardust Cruisers brands. MILWAUKEE, WI – Carlie Beaudin’s dog, Baloo, was the first to alert her husband, Nick, that something was wrong. It was about 4 a.m. and Baloo woke him up. Carlie wasn’t home. Beaudin was found frozen and trapped under a car in the parking garage at Froedtert Hospital on Jan. 25, the Milwaukee County Sheriff’s Office said. A sheriff’s deputy found Beaudin trapped on the top level of the west parking garage. Her head was bleeding profusely, according to Faithe Colas, spokeswoman for the sheriff’s office. Beaudin died less than an hour after authorities arrived at 3:43 a.m. Colas said the car had crashed into a wall of the parking structure and had moderate damage. No one else was inside the car. The Wauwatosa Fire Department attempted to free the Beaudin, who was frozen to the ground. Paramedics said she had a weak pulse and was unconscious, Colas said. She was taken to Froedtert, where she was pronounced dead at 4:21 a.m., Colas said. She was 33. Milwaukee County sheriff’s officials have ruled it a homicide and say they have a 27-year-old man in custody. They arrested the man Friday near North 37th Street and West Wisconsin Avenue after receiving a tip. No charges have yet been filed. CHESAPEAKE, Va. (WAVY) — A man died in Chesapeake after a vehicle fell on top of him Thursday evening, police say. A Chesapeake police detective said the incident happened in the 5300 block of Military Highway near the Hampton Roads Exective Airport. Officers were called to the scene just before 4:30 p.m. The man was renting a space for auto repairs. The vehicle fell on top of him as he was working on it, police said. Police said the man was pronounced dead at the scene. Officers are working to notify his next-of-kin. SUNRISE BEACH, Mo. – Federal regulators have opened an investigation of a worksite death in Sunrise Beach. The Camden County Sheriff’s Office said Tuesday that a 41-year-old Lake Ozark man was killed the day before at a Sunrise Beach condominium when he fell about 60 feet from a balcony. The man was found by a coworker. The Occupational Safety and Health Administration has opened an inspection after the man’s employer, Marsh Painting, notified the agency within the required eight hours, OSHA spokeswoman Rhonda Burke wrote in an email Wednesday. The man was working with three other employees painting the interior of the high-rise building, Burke wrote. He was found outside the building after an apparent fall, Burke wrote. Bonita Springs, FL – There is a death investigation underway in Bonita Springs. The Bonita Springs Fire Dept. and the Lee County Sheriff’s Office has confirmed a death investigation at the Bonita National Golf & Country Club. The Fire Dept. confirms that the incident happened at a construction site at 11 a.m. Tuesday. We are told that a worker died on the scene and the Occupational Safety and Health Administration is investigating. ORANGE COUNTY, Fla. – A 36-year-old man has died after an industrial accident in Orange County on Saturday, deputies said. Investigators said Saile Gonzalez died while working on a dump truck when the upper half lowered and crushed him. Officials said the industrial accident happened on Sidney Hayes Road around 11 a.m. and Gonzalez was pronounced dead at the scene. COLUMBIA, TN (WSMV) – A dump truck driver was killed in a rollover crash in Maury County on Thursday afternoon. According to the Tennessee Highway Patrol, the vehicle’s tire blew out, causing the driver to lose control and go off the left side of Interstate 65 near mile marker 39. The driver was trapped inside the vehicle when it came to a stop about 100 feet off the interstate. Percell Sherrod, 35, was pronounced dead at the scene. He was from Nashville. ALBUQUERQUE, N.M.- The driver of a semi-truck was killed in a fiery crash on I-40 near Unser Thursday night. People reported seeing a fireball at the time of the crash. ALBUQUERQUE, N.M.- Two people were killed when a semi-truck crossed a dirt median and crash into another semi-truck on I-40 near Route 66 casino Thursday afternoon. A person driving behind one of the semi-trucks captured the entire crash on dashcam video. It shows debris flying in every direction. The victims were identified as a man and a woman. A third person was airlifted to the hospital. He was listed in critical condition. Groveland, NY — A Wyoming County man is dead after being struck by a pickup on a Livingston County farm Wednesday morning, according to the New York State Police. Kenneth Hall, 63, of Perry was working at Dairy Knoll Farms in Groveland, when he was struck and killed by a pickup driven by Warren Zimmerman, 54, of Penn Yan, Yates County, troopers said. LOGAN COUNTY, Ill. (WICS/WRSP) — Illinois State Police was called to a fatal crash Wednesday around 4:57 p.m. on I-55 southbound near exit 127 in Logan County. Police said a semi truck was traveling southbound on I-55 at exit 127 when a medical incident caused the driver to leave the roadway. The driver was the only occupant of the vehicle and was transported to Abraham Lincoln Memorial Hospital in Lincoln, where he was pronounced deceased. SMITH COUNTY, Texas (KETK) – The identity of the man killed in an industrial accident Wednesday morning has been released. Jonathan Burkett, 28, of Tyler, was killed at Cannon Steel. Smith County Sheriff’s Office responded to the scene. KETK has reached out to the company for details of the incident. MIDDLETOWN, CT — The icy weekend storm’s effects claimed the lives of two people. A city man was killed when his car slid down the driveway and pinned him underneath. A power restoration worker was killed by a falling tree as well. The power restoration worker killed by a falling tree has been identified as East Haddam resident Howard “Lonnie” Alonza Duffy III, 43, of East Haddam. Duffy was working as a sub-contractor for Eversource Sunday when the tree struck and killed him, according to NBC Connecticut. Duffy leaves behind three children and a fiance. He was working as an equipment operator for Riggs Distler. La Plata County, CO — A 47-year-old New Mexico man died earlier this month after an explosion at a natural-gas well site in southern La Plata County. According to state records, Randy Yellowman was working as a contract truck driver for an oil and gas company, Denver-based Catamount Energy Partners LLC. Yellowman was working alone at the well site at the time of the explosion, and authorities are still investigating the incident. An initial investigation says the explosion occurred Jan. 2, likely in the morning. Yellowman wasn’t found until later in the day. It is unclear how he was discovered. A number of agencies responded to the scene, with the Southern Ute Indian Tribal Police and the Occupational Safety and Health Administration taking the lead in the investigation. NEWPORT NEWS, Va. (AP) – A master shipbuilder has died from injuries sustained in a fall at a shipyard in Newport News, Virginia. News outlets report sheet metal worker specialist James Goins was injured at Newport News Shipbuilding in December and died early this month. Shipbuilding spokesman Duane Bourne says Goins had been a shipbuilder for more than 41 years. Shipbuilding President Jennifer Boykin says the company has been working on understanding how Goins was injured and preventing similar cases. She says an internal investigation was conducted, and the Occupational Safety and Health Administration is investigating. Boykin says additional details can’t be provided at this time due to the ongoing investigation and out of respect for the family’s privacy. COLUMBUS, Ohio (AP) — Police say two employees at an internet cafe in Ohio were shot and killed during an armed robbery. Police responded to the shooting at Players Paradise Internet Cafe in Columbus at 4:06 a.m. Sunday. Paramedics pronounced a 38-year-old man and a 52-year-old woman dead at the scene. Monroe County, NY — Three days after a 30-year-old Monroe County employee was killed in an accident on Hudson Avenue, County Executive Cheryl Dinolfo ordered all flags to half-staff in his honor. Jeffrey Farrell, who worked for Monroe County’s Division of Pure Waters, was killed Friday morning after a tractor-trailer traveling east on state Route 104 traveled down an embankment on Hudson Avenue and hit a light pole and two other vehicles. Farrell was below ground inside a sewer grate, but was killed instantly as he tried to escape, according to Rochester Fire Battalion Chief James Hartman. The driver of the truck, Tracy Premo, 58, of Palmyra, was also killed in the crash.